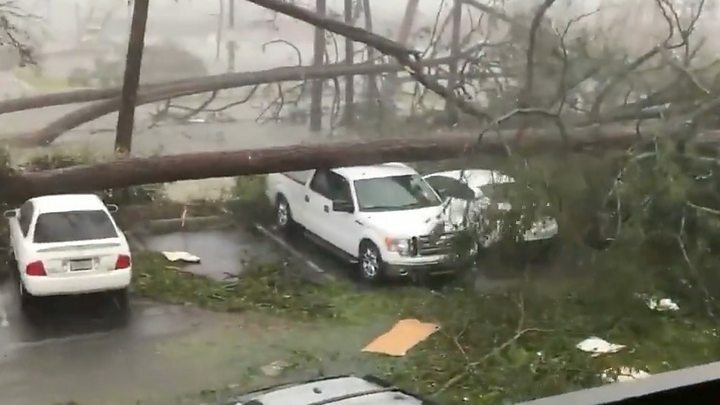 Hurricane Michael – a category four storm with winds reaching 155mph (250km/h) – has made landfall in Florida’s north-west Panhandle region. 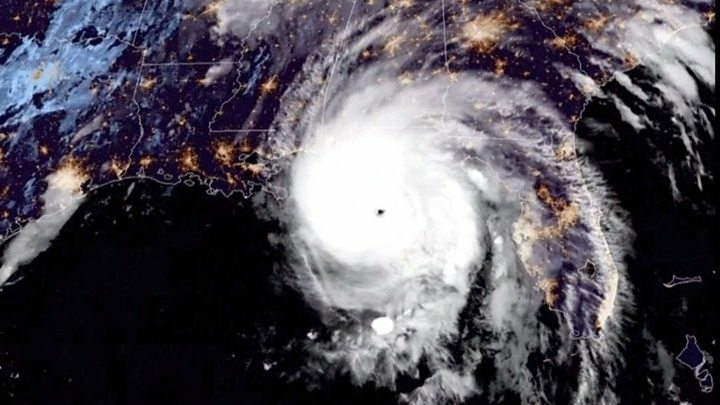 In their latest advisory, the National Hurricane Center warned coastal residents “not to venture out into the relative calm of the eye, as hazardous winds will increase very quickly as the eye passes”. 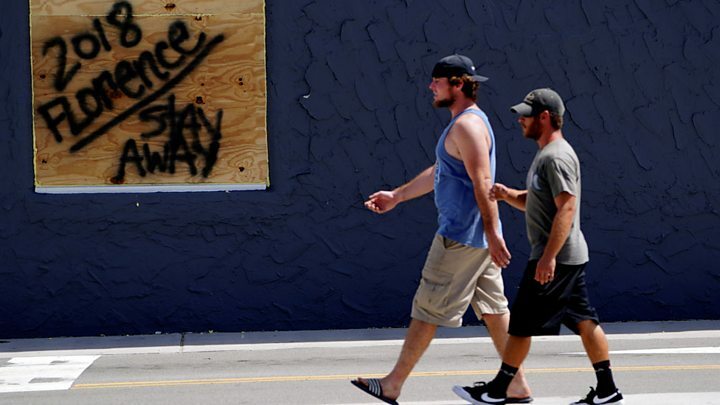 “Do not leave your house,” Florida Governor Rick Scott said on Wednesday, hours before landfall. “We just hope those the structures can hold up. And if not, that they’re not in those structures,” Mr Trump responded. And “life-threatening” flash floods may occur as a result of up to 12in (30cm) of rain. His house, he says, is built to withstand winds of 150mph and it’s just high enough above sea level that the predicted surge may well fall short. Just along the road, Stacey and Michael Buckner sit in their car, staring out to sea. Their house is two blocks from the water, and they’ve chosen not to leave because of Michael’s elderly parents. 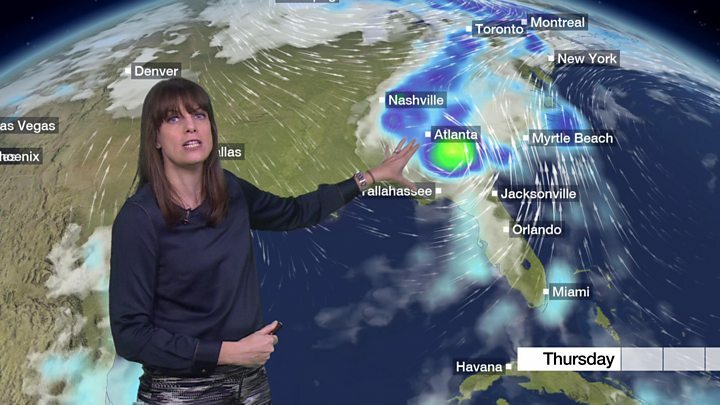 For the coming hours, Dave, Michael and Stacey are on their own – the emergency services are staying out of the storm and nature is about to take its course. But by Thursday, the storm will move up the coast and skies will clear allowing for “a massive wave of response and support”, said Gov Scott. Local officials warn people in the regions affected by Hurricane Florence last month – even those living far from waterways – to watch for landslides or flash flooding.